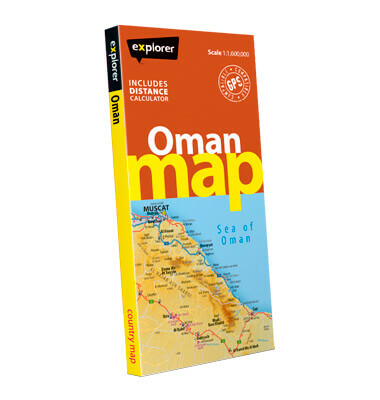 The latest Oman Map comes in a handy, user-friendly format and covers the country with pinpoint accuracy. Produced in-house by our leading team of cartographers, find you way from the northern tip of Musandam to the myriad of souks in Muscat. Drawing on years of expertise and experience, we chart the unspoiled landscape of Oman and include all its major highways, coastal roads, landmarks, area names, top attractions and new developments. With its clear legends and compact design, finding your way around this charming country has never been easier.